A Tonk's Tail... err, Tale...: Sunday's Shelter Sweetheart! "Well, hello folks. They call me Mayor Lockwood here at the shelter. They gave me that name because I just have everything well under control and don't let things get chaotic here!" "I'm actually just a cuddly and loving kitty looking for a new home and hoping your home is going to be the winner. You see, I was found as a stray and no one really knows what happened to me while I was out and about. But I can guarantee you this - I don't want to be in that position again. I am really looking for someone to love and somewhere I can feel safe and warm. One of the requirements for me to be called "Mayor" is that I'm well behaved, and I am. I get along with other kitties, keep a tidy litter box and use my scratching post so I don't make a mess with anything else. Won't you come visit me soon? I'm pretty sure you need a Mayor in your home and I'm just the guy to fit the bill!" Mayor Lockwood is one of almost seven hundred cats currently residing at Great Plains! He's fabulous, waiting just for you to come visit, and available to go home with you today at the Independence Campus of Great Plains SPCA. His face is huge! And bears resemblance to a bobcat. Handsome handsome Mayor! 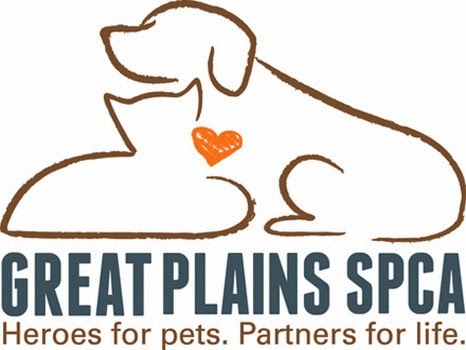 There are 700 cats at Great Plains SPCA?! Wow! That is a lot of kitties needing homes! Love the name. We hope the 700 become zero this month. Paws crossed. Have a serene Sunday. Hope you are looking forward to some big easy today. Holy cat, 700 is a full house! We hope that the Mayor can find a new forever home to administrate soon! Keep my paws crossed that Mayor will find his forever home real soon !